Ambience Selected For "Best Independent Stores In Bergen County"
Ambience of Edgewater, NJ has been honored with a recognition by Bergen Health & Life in its selection of "Best Independent Stores In Bergen County." Ambience's spokesperson, Dorothy Regan, commented on the recognition: "This is quite an honor for us. Since Bergen Health & Life chose only a select number of organizations for their Best Independent Stores In Bergen County list, we are especially proud to have made the grade. Our inclusion signals that our constant effort to deliver excellent work has paid off. It is gratifying and exciting to be recognized in this way." Following the publication of Ambience's selection for Bergen Health & Life's Best Independent Stores In Bergen County list, American Registry seconded the honor and added Ambience to its "Registry of Business Excellence™". An exclusive recognition plaque has been designed to commemorate Ambience's Best Independent Stores In Bergen County honor. For more information on Ambience, located in Edgewater, NJ please call 201-945-9599. 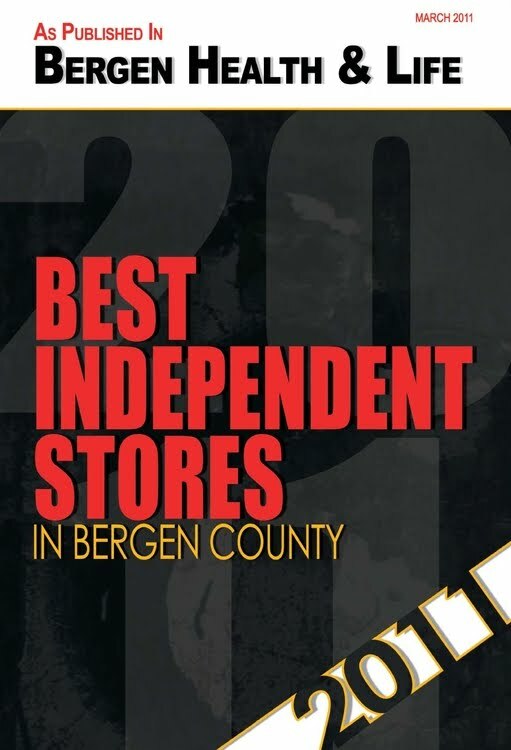 Ambience Selected For "Best Independent Stores In Bergen County".